Hawaii Governor Neil Abercrombie gave his State of the State Address on Tuesday, January 21. In his remarks, Governor Abercrombie discussed astronomy in Hawaii and the role of TMT. Mauna Kea is Hawaii's gift to the world - the best place on the planet to observe the universe. It is without peer. It provides an unparalleled opportunity to advance our knowledge of our universe. Today, we celebrate 50 years of astronomy in Hawaii with 13 observatories from 11 countries and over a billion dollars in infrastructure atop Mauna Kea. One project will solidify Hawaii's position as the world's premier astronomy center - the $1.3 billion Thirty-Meter Telescope (TMT). 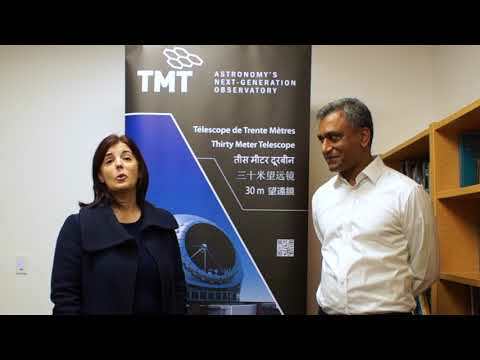 The TMT will be the catalyst for the development of high tech and high paying jobs. TMT is partnering with the Institute for Astronomy's Akamai Workforce Initiative to train local college students for technical fields. The initiative promotes STEM initiatives relating to local robotics and science programs. TMT is also investing $1 million every year in education so our keiki can reach for the stars. Our state must support and ensure that this tremendous opportunity comes to fruition."